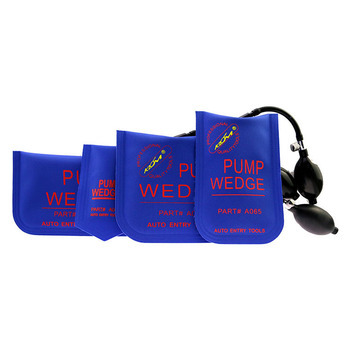 The pump wedge is an inflatable wedge which made of heavy duty non-marring vinyl material. Other uses may also include door and safe installations for leveling or holding in place while installation is being done. 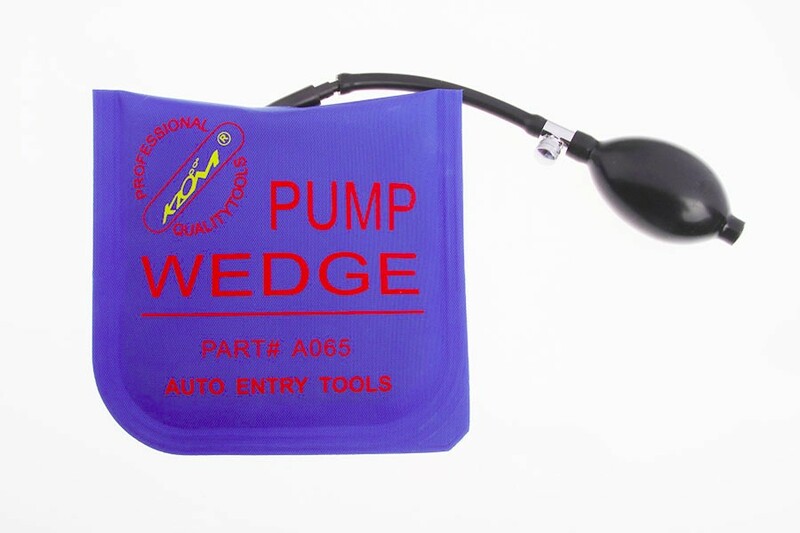 There is a hard stiff plastic insert inside the wedge- this makes the wedge a breeze to insert in door. 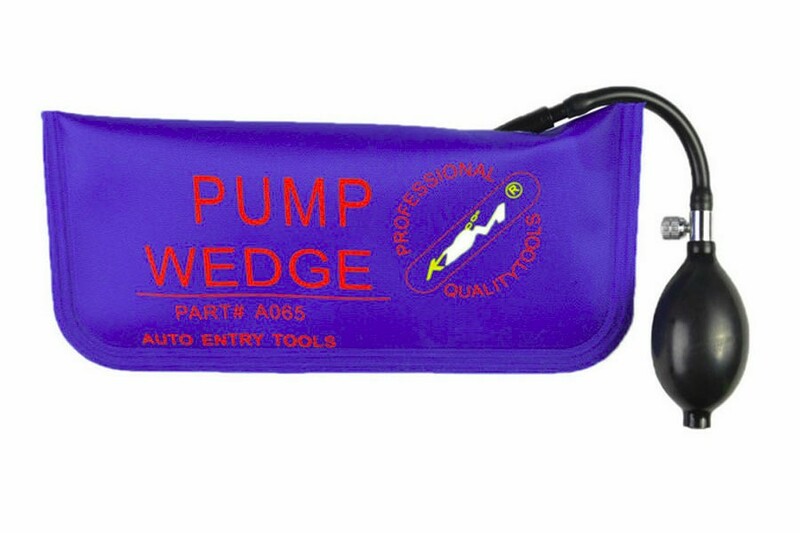 The Air Wedge slides between the vehicle door and the weather stripping on the door frame- then the pump is squeezed- inflating the Air Pump Wedge and separating the vehicle door from the frame. This provides enough room to insert a car opening tool. 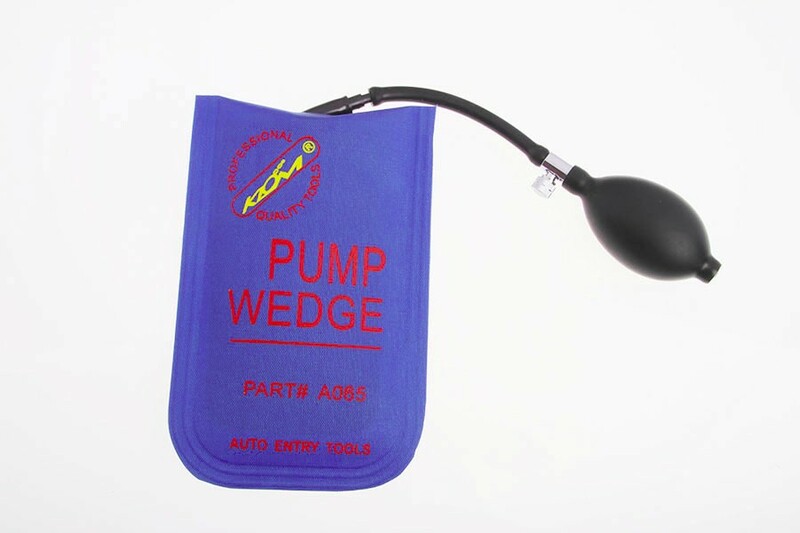 The pump wedge is the ideal car open tool for firemen- other emergency personnel- as well as repo people- wrecker drivers- auto repair shops and car dealers. 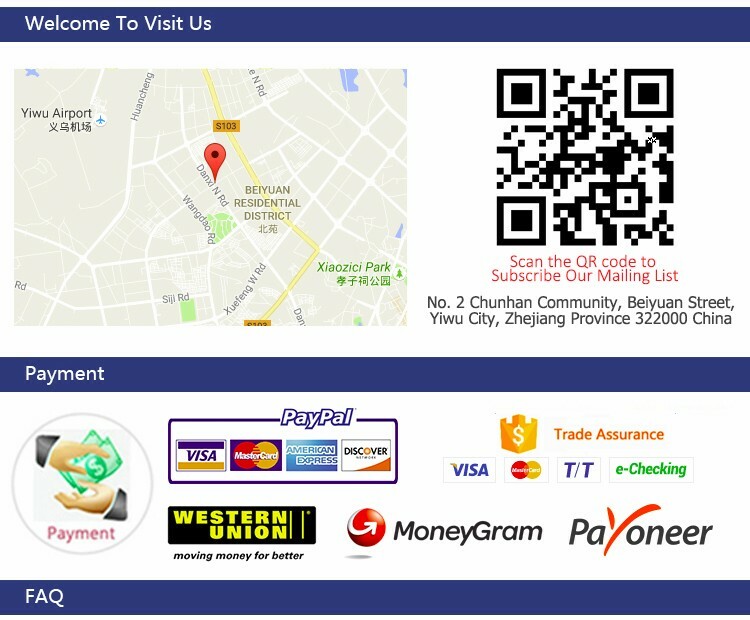 This Car Door Wedge is very good quality- which can be used to slide between the vehicle door and the weather stripping on the doorframe. Adopt the high strength material- with special soft board inside it- does not leak gas- can bear the pressure of 200 kilograms. Be careful : Don't inflate excessively when operate- after being proped up- let the air out. Then put the triangle block.